Ever since the shootings in Norway two weeks ago, I’ve been reading up on the Church of Norway. The Church of Norway is under the jurisdiction of the Polish Catholic Church, a breakaway group from the Roman Catholic Church that tends more towards Lutheranism. This week is 7 Churches in Norway for 7 Quick Takes. These churches all belong to the Church of Norway. Oslo Cathedral is the third cathedral to be built in Oslo. The first cathedral was abandoned after the reigning king decided to move the city to the west a bit for better protection. The second was destroyed by a fire 50 years after it was built. 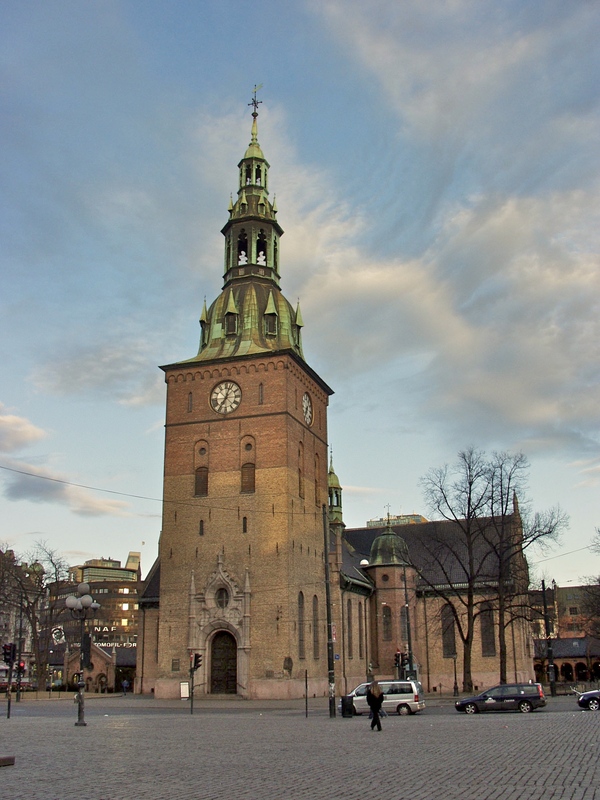 Built between 1694 and 1697, Oslo Cathedral is the church of choice for events concerning the royal family and the government; it was where the Prime Minister read his remarks following the 2011 Shootings. 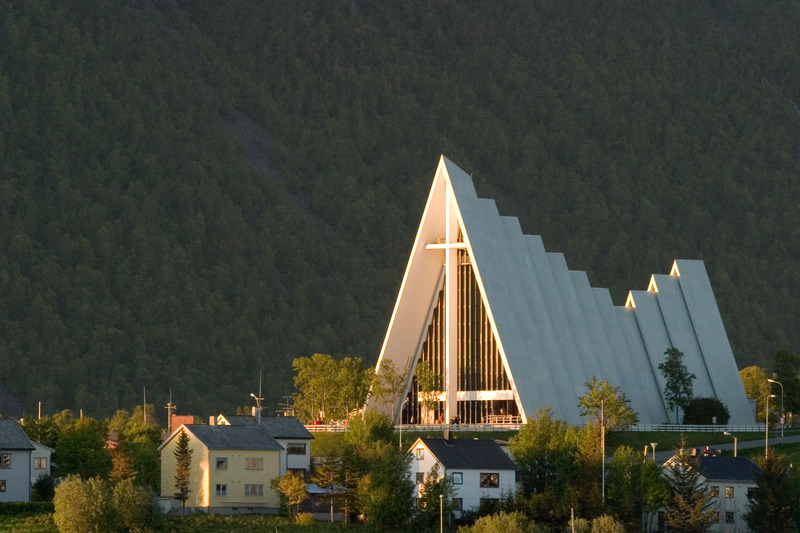 Located in one of the northernmost parts of Norway, the term “Arctic” seems fitting for this church – Tromsø only gets as warm as 53 degrees Fahrenheit during the summer, and as low as -24 in the winter! While not actually a cathedral, the Arctic Cathedral (officially known as the Tromsdalen Church) is probably the best known landmark in Tromsø, with some going as far as to call it the Sydney Opera House of Noway. Here’s the actual cathedral of Tromsø! 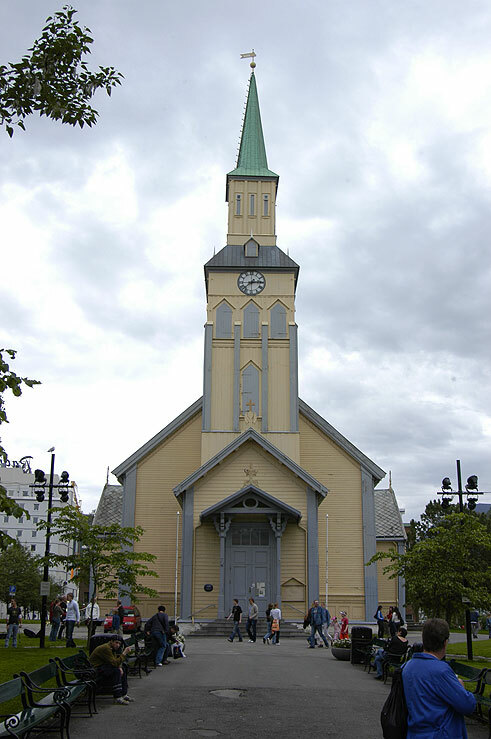 The Tromsø Cathedral is the only cathedral in the Church of Norway made entirely of wood and is the northernmost Protestant church in the world. Completed in 1861, the church was built on the spot of a smaller wooden church, which was relocated and now contains religious art. This church was started in 1070 and completed some time in the 1300s. 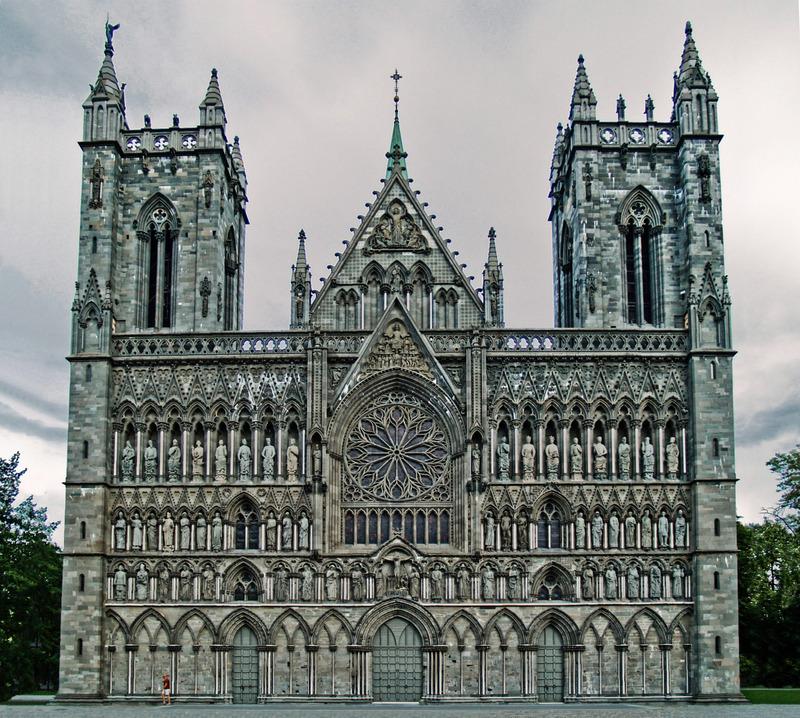 In 1152, Nidaros Cathedral was established as the Catholic cathedral of the archdiocese, which lasted until 1537 due to the Protestant Reformation. The reliquary of St. Olaf was contained in the altar; the reliquary was melted down for coins and St. Olaf is believed to have been buried underneath the cathedral. A third church from Tromsø, but I just couldn’t pass up this church. It strikes me as a happy balance between a country church and a barn (based on the color, not the use). 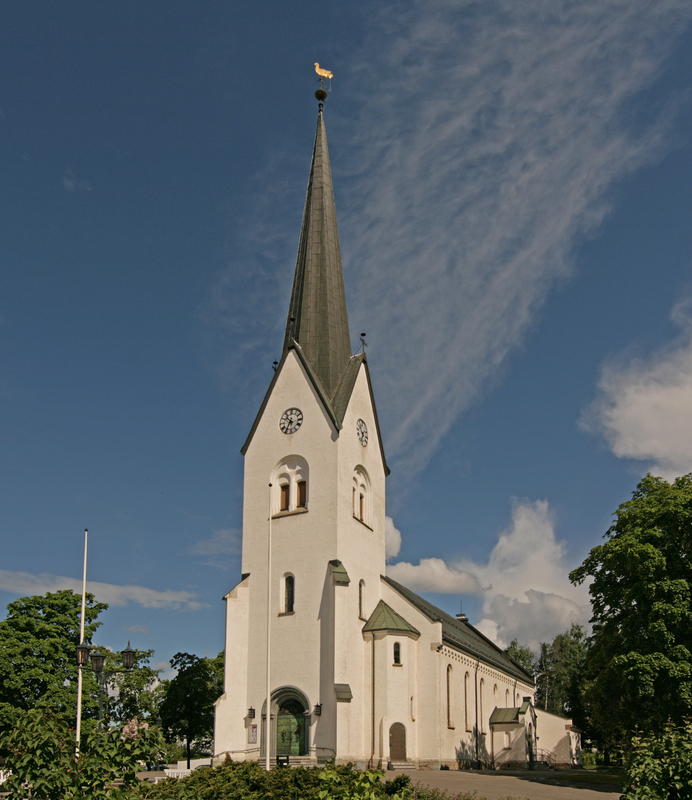 Indeed, the church was known as Tromsøsund Church at one point, which translates as “Country Church”. Built initially where the Tromsø Cathedral now is in 1803, Elverhøy Church has been dismantled and moved twice. It came to rest in its current location in 1974. 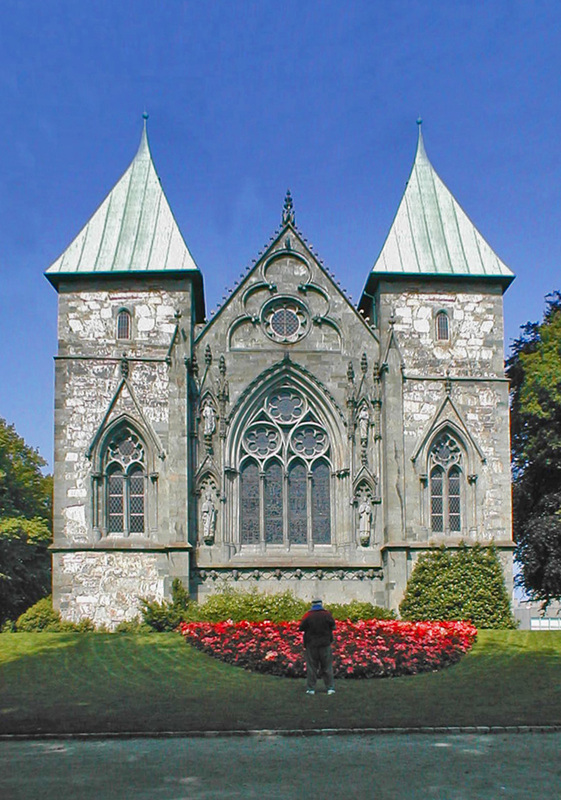 Stavanger Cathedral was finished in 1150, making it the oldest cathedral in Norway. The church was consecrated to Saint Swithin, who I had never heard of until now. He was an early Catholic Bishop of Winchester and is enshrined at Winchester Cathedral. The bishop who came to establish Stavanger Cathedral is believed to have been from Winchester, hence the choice of saint. Hamar Cathedral was built in 1866 after the creation of the Diocese of Hamar in 1864. In general, the architecture is plain and simple, borrowing ideas from basilica architecture. Wikipedia touts the altar as being the most unusual feature of this church. I could only find two pictures of the altar by the same person, but can’t post them due to copyright. They are here and here. It certainly is unique! Has anyone visited any churches in Norway? What about other religious structures there? look into the stave churches. my husband served a church whose interior was based on one. These are beautiful. Thanks for posting them!